From the former Chief Justice of Canada comes a riveting thriller starring Jilly Truitt, a rising, young defense attorney faced with a case that hits close to home. When everyone has something to hide, the truth is the only defense. There’s nothing Jilly Truitt likes more than winning a case, especially against her former mentor, prosecutor Cy Kenge. Jilly has baggage, the residue of a dark time in a series of foster homes, but that’s in the past. Now she’s building her own criminal defense firm and making a name for herself as a tough-as-nails lawyer willing to take risks in the courtroom. When the affluent and enigmatic Vincent Trussardi is accused of his wife Laura’s murder, Jilly agrees to defend him, despite predictions that the case is a sure loser and warnings from those close to her to stay away from the Trussardi family. Determined to prove everyone wrong, Jilly investigates Laura’s death, hoping to discover a shred of evidence that might give the jury a reasonable doubt. Instead, she is confronted by damning evidence and uncooperative witnesses at every turn. Someone isn’t telling the truth, but who? With her reputation and Vincent’s life on the line, Jilly tries to unravel the web of secrets surrounding Laura’s murder. As she digs deeper, she uncovers a startling revelation that will change not only the case, but her life forever. From the gritty streets of Vancouver to the fateful halls of justice, Full Disclosure is a razor-sharp thriller that pulses with authenticity and intrigue. WHAT DO YOU DO WHEN your client goes to jail? You do what you can, then forget. I look down the long corridor of the detention center and wonder how it will be this time. The guard, a burly man in uniform, spies me at the end of the hallway. A shadow crosses his hardened features. He doesn’t like lawyers, particularly women lawyers with saucy haircuts and eyes that refuse to look down or away. The steel door behind him opens, a grating sound of metal on metal, and my client appears. Vincent Trussardi. Scion of the business world, patron of the arts. And as of yesterday, widower charged with the murder of his wife. Trussardi walks toward me, steps measured, shackled wrists crossed in dignified mien. Did he kill his elegant wife? Probably, I think to myself—I can hope, at least at the beginning, that I’m wrong, but a decade in criminal law has made me jaded. Not that it matters. My job is to get him out and get him off. The guard’s right hand moves to his holster as the flat of his left nudges the prisoner forward. My client stops, half turns to resist, then resumes his calculated stride. For some perverse reason, they’ve put Vincent Trussardi—upstanding citizen, no criminal record—in cuffs. Whether he killed his wife, he’s hardly likely to take the guards down and make an unscheduled run for the door. Prisons run on the dignity game—we take it; you keep it if you can. Most people can’t. Maybe this man is an exception. Even in prison reds, he commands. The guard backs off a little, averts his eyes as he bends to unlock the cuffs. A uniformed woman appears from nowhere—a slight creature with brush cut hair—and scrabbles a key at the door of an interview room. Trussardi moves into the room; the guard waves me in. The door clanks behind us. We are alone, unless you count the shadow of the guard’s face behind the window high on the wall. There’s not much in the room—a table, two plastic chairs. They dehumanize these places. I motion to my client to sit down; he complies with a graceful shift of the torso. He’s caught on quick; cuffs change the way you move. I scrape back the chair opposite and slide into it. “Thank you for coming, Miss Truitt,” Vincent Trussardi says, his voice low and gravelly. His eyes—green, gold-rimmed, heavy like an ancient icon—assess me. I’m not used to my clients studying me. “Just get me out of here,” they tend to say. I decide to stare back. Despite the onset of middle age, toned muscle shows beneath Trussardi’s prison reds. His face is even featured, conventionally handsome. A mane of white-streaked black hair flows from forehead to chin; a black-russet mustache and beard frame full lips, the square of his jaw. His bearing is proud, his gaze lamenting. Why not, I think. If the papers are right, he has much to grieve for. I break eye contact and flip open the briefcase at my side. I glance up from my screen. Is he guilty? Does he just want to get this over with? “I look forward to getting to know you,” he says, as if we’re agreeing to a merger. If Joseph Quentin, renowned counsel to Vancouver’s elite, had had the sense to call me at the outset, Vincent Trussardi would have sat tight on his right to silence. No point in telling him that now. What’s happened has happened. I just hope he hasn’t sunk his case by revealing something he thought didn’t matter. My little speech, honed to perfection, washes over him like water. He gives me an empty smile. “And I’ll need a retainer. Ten thousand to start. More later.” The third rule of criminal defense work: get the money up front. I consider the optics. Grieving husband at wife’s funeral. Not bad. 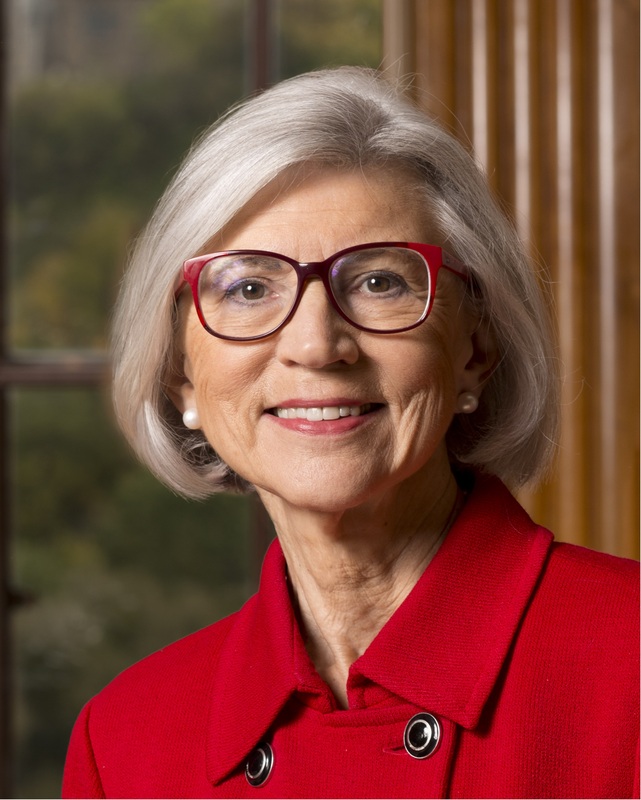 Beverley McLachlin is a former Chief Justice of Canada, the first woman to hold that position. 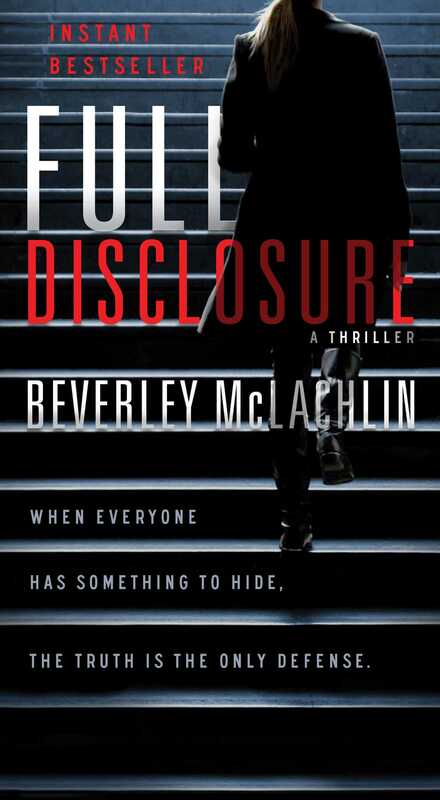 Her first novel, Full Disclosure, was an instant national bestseller. Visit her at BeverleyMcLachlin.com.